Troy Trenkle is getting a new job. "Who's Troy Trenkle?" you ask. It's okay. Go ahead and ask. I'll wait. Well, now, since you asked, Troy Trenkle is -- soon to be was -- the Chief Information Officer at the Centers for Medicare and Medicaid Services. He was the head of the group that put up the Healthcare.gov Website. He was the idiot in charge of all the other idiots. The Obama administration made that announcement yesterday. What's he gonna do? "To take a position in the private sector," according to the report. I'll wait while you stop laughing. Still laughing, I see. I'll wait a little longer. Okay, stop laughing. Save it for later. It'll be funny for a while. But, he really did say that. The guy who failed big time in government wants to bring that level of expertise to ... the private sector. What jobs are there for someone like that? Script writer for My Mother The Car: The Movie. Barrel man at a goat rodeo. What do you think? What would be a good private sector job for Mr. Trenkle? that was another Obama fabrication like Julia. 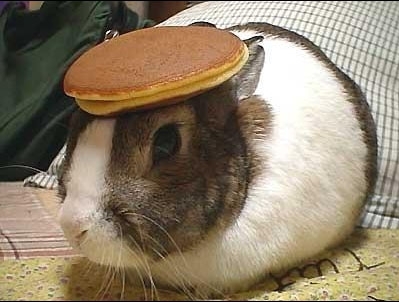 * Pancake flipper at the bunny farm. Manufacturer of Trenklizers(tm), ObamaCare's only approved medical treatment. A placeBO. In blue or red pill form, for anxiety a tax. I'm sorry, I can't think of any private sector employment where Stupidity is Job One. Let's see...Chief Information Officer?...I've got it - put Mr. Trenkle in charge of starting up a major international daily newspaper, from the bottom up. Here's a Schwinn and a canvas bag, sir. Beach Lifeguard in the Mojave. The "Can you hear me now? guy. Bullet Dodger at a firing range?? Tony Trenkle, the Obamacare official in charge of HealthCare.gov security efforts announced his resignation Wednesday, effective next week. CBS News has learned that Trenkle, the Chief Information Officer for the Centers for Medicare and Medicaid Services (CMS), was originally supposed to sign off on security for the glitch-ridden website before its Oct. 1 launch, but didn't. Instead, the authorization on September 27 was given by Trenkle's boss, CMS administrator Marilyn Tavenner.
. . . or member of the new "Duck" dynasty? Ohh man. Make me this guy's agent. I can find all sorts of things for him to do. I'll get him employed by Google in the role of guy who gets employed at the competitors of Google and brings them all crashing down. Academia would LOVE him. Those that can't do teach! It's a perfect fit. I'd rather put the bunny in charge of anything than that guy. Is head of White House Security private sector? Columnist for the New York Time. College professor of anything that has the word "studies" in it. It is top secret but sources say it involves something related to the phrase "would you like fries with that." If his politics are correct he will get a phony title at a think tank and $200k/year, Or be appointed a Professor at some liberal school. Both are customary exits when nothing else works. He might go to the University Of California. Janet is President and has millions in slush funding. She plays the game and could give him a no-show job.. He would fit right in. Probably going to work for Xerox in the department that works on the EBT for food stamps.